There is no indication that [Boettner] has made use of any hardheaded apologetic works by Catholics or that he has tested his arguments against a knowledgeable opponent before reducing them to print. His major sources are people who do not just disagree with Catholicism but who openly oppose it, often for what the reader suspects to be base motives. Boettner accepts at face value any claim made by an enemy of the Church. Even when verification of a charge is easy, he does not bother to check up. If he finds something unflattering, he prints it. For Keating, Boettner is wrong when he claims Peter was never Bishop of Rome. Keating says Boettner arrived at his faulty conclusion because he relied on William Cave's The Lives of the Apostles. Cave is supposed to have stated that in Eusebius there is no mention of Peter being Bishop of Rome. Keating then proves Eusebius does indeed say Peter was Bishop of Rome. Therefore, the source Boettner used was accepted at face value. Conclusion: Boettner didn't check his facts. Boettner relied on William Cave when he actually should have read Eusebius. VI. That which caused Baronius to split upon so many rocks, was not so much want of seeing them, which a man of his parts and industry could not but in a great measure see, as the unhappy necessity of defending those unsound principles which he had undertaken to maintain. For being to make good Peter's five and twenty years presidency over the church of Rome, he was forced to confound times, and dislocate stories, that he might bring all his ends together. What foundation this story of Peter's being five and twenty years bishop of Rome has in antiquity, I find not, unless it sprang from hence, that Eusebius places Peter's coming to Rome in the second year of Claudius, and his martyrdom in the fourteenth of Nero, between which there is the just space of five and twenty years. Whence those that came after concluded, that he sat bishop there all that time. It cannot be denied, but that in St. Jerome's translation it is expressly said, that he continued five and twenty years bishop of that city; but then it is as evident, that this was his own addition, who probably set things down as the report went in his time, no such thing being to be found in the Greek copy of Eusebius." Nor, indeed, does he ever there or elsewhere positively affirm St. Peter to have been bishop of Rome, but only that he preached the gospel there; and expressly affirms," that he and St. Paul being dead, Linus was the first bishop of Rome. To which I may add, that when the ancients speak of the bishops of Rome, and the first originals of that church, they equally attribute the founding and the episcopacy and government of it to Peter and Paul, making the one as much concerned in it as the other. Keating is correct that William Cave denies Eusebius refers to Peter to be the Bishop of Rome. Cave notes that Peter's twenty-five year episcopate as bishop of Rome was not original to Eusebius, and he then goes on to state that within Eusebius there is no positive evidence Peter was Bishop of Rome, and that actually, Linus was the first Bishop of Rome. This is disputable, because in V.28.3 speaks of Victor being "the thirteenth bishop of Rome from Peter." V.6.1 notes "the blessed apostles having founded and established the church entrusted the office of the episcopate to Linus." III.2. says "After the martyrdom of Paul and Peter, Linus was the first to obtain the episcopate of the church of Rome." We know nothing at all about the origins of Christianity in Rome. This is acknowledged even by some Roman Catholic historians. It was already a flourishing church when Paul wrote his letter to the Romans in 58 A. D. Quite possibly it had been founded by some of those who were present in Jerusalem on the day of Pentecost and heard Peter's great sermon when some 3000 were converted, for Luke says that in that audience were "sojourners from Rome, both Jews and proselytes" (Acts 2:10). In any event there is nothing but unfounded tradition to support the claim that Peter founded the church in Rome and that he was its bishop for 25 years. The fact is that the apostles did not settle in one place as did the diocesan bishops of much later date, so that it is quite incorrect to speak of Rome as the "See of Peter," or to speak of the popes occupying "the chair" of St. Peter. Boettner's point is that the earliest reference to Peter's twenty-five year episcopate is probably spurious, and that's the information he took from William Cave. Keating though says Boettner used the work of Cave to arrive at the conclusion that Peter was never Bishop of Rome. Keating is correct that William Cave held that in Eusebius there is no reference to Peter being Bishop of Rome. Keating is wrong though that Boettner arrived at this conclusion from reading Cave. It may in fact be true, but Boettner doesn't say he relied on Cave. The only fact Boettner took from Cave is the alleged spurious nature of Jerome's translation of Eusebius and Peter's twenty-five year episcopate. Keating also refers to the "Greek original of Eusebius Pamphilius' Ecclesiastical History" as that text which concerns Boettner and Cave. Rather, the text in question is The Chronicle of Eusebius. Keating's exhortation therefore to "look at the two-volume edition of the Ecclesiastical History in the Loeb Classical Library" is incorrect. 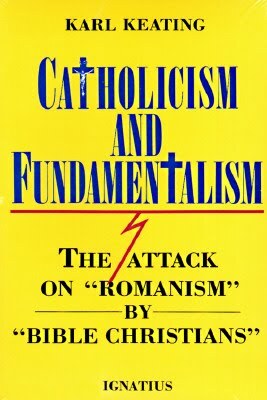 Conclusion: Keating misrepresented Boettner on page 30 of Catholicism and Fundamentalism. Although I don't make use of Boettner, nonetheless Keating has misrepresented Boetner on this point. Even when verification of a charge is easy, he does not bother to check up. If he finds something unflattering, he prints it. So what difference does it make whether Peter was a bishop of Rome or not? What if Boettner or Keating is right? So what??? The point is that there is simply no Biblical evidence to warrant the imposing of a Pope on the Christian Church!!!!! Christ was talking about something else when he mentions Peter being the Rock. Further, the issues we should be losing sleep over is whether we hold the truth that leads to salvation than labour to made the narrow road wide. From my historical theology studies, some of the Popes were some of the most wicked, how could they have claimed to be the vicar of Christ? Boettner is 100% correct in principle. Further, having been of a Roman catholic background and seen some of the errors that Keating attempts to deny, I feel sad. There is an attempt to cover over the truth by arguments from all sorts of areas. To be convincing beyond doubt, let us stick to scripture as much as possible in our polemics or apologetics. 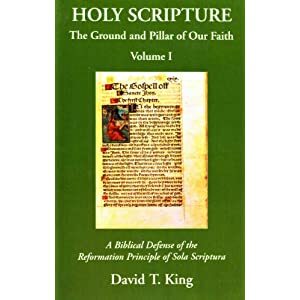 "Sola Scriptura" was the watch word of the Reformation! I think it would have been significant a thing if Peter's Bishopric was mentioned in Scripture. I have no problem with the Catholic Church but Rome has many issues to explain still. Hi Billy -- I totally agree with you that "there is simply no Biblical evidence [or evidence of any kind] to warrant the imposing of a Pope on the Christian Church." Unfortunately, throughout history, others saw it differently, and even today, there are those who think it's necessary. So when you say, "Christ was talking about something else when he mentions Peter being the Rock," it sometimes takes a great deal of effort to try to pin down just exactly what he meant there. I too am very sad about the errors that Keating (and other Catholics) have not only bought into, but continue to spread. I think it's safe to say that all of us here at Beggars All are fully with you on relying on Scripture as much as possible in our apologetics. But some of these folks are firmly convinced, and the only way to really address them is to interact directly with what they have been saying. Welcome to Beggars All. I've visited your profile, and I'm personally very honored that you've decided to pay us a visit here. Stumbled across this site once again after nearly 8 years! I should like to be in touch more frequently.